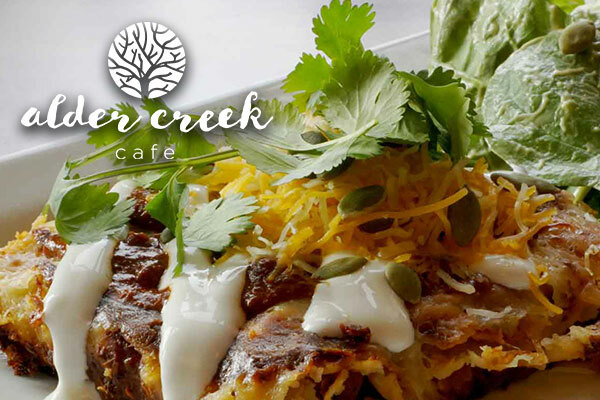 The Alder Creek Café is known for delicious and healthy options. Taking a page from the healthy outdoor activities just outside the doors of the Adventure Center, café menu items are designed for the fitness-minded outdoor enthusiast. A local favorite, the café offers organic, seasonal and locally sourced meats and produce when possible. A new menu is offered every season and fresh baked goods are available daily, including gluten-free choices. The Trailside Bar offers a variety of unique draft and bottled beers, as well as a diverse wine list with a number of eco-friendly choices. After a day on the trails, join us for great food and drinks.